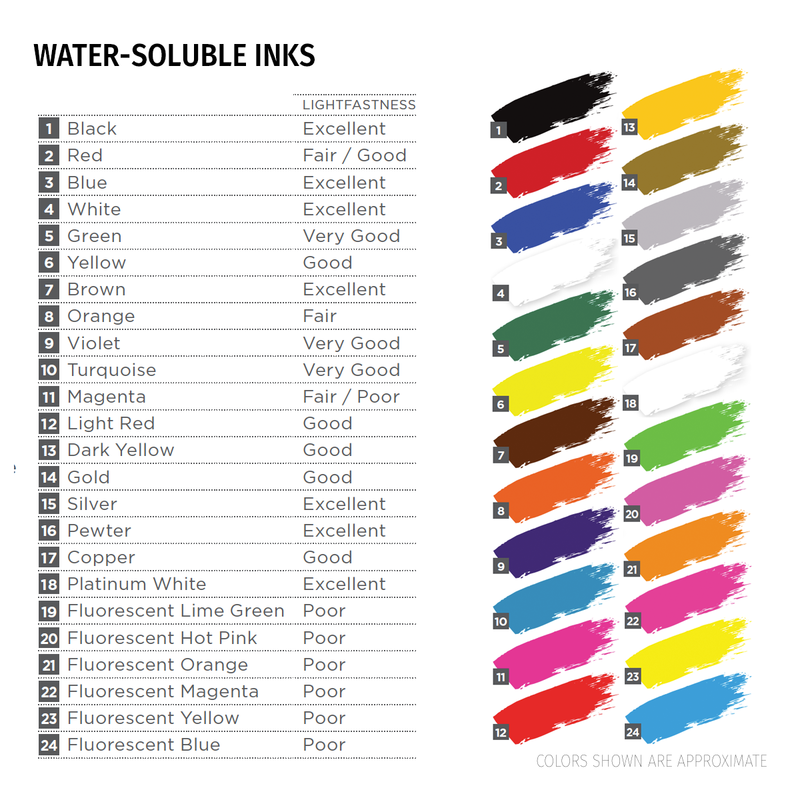 Speedball water soluble inks are nontoxic and clean up with ease. They dry quickly to a rich satiny finish. All colours can be mixed to create tints, shades and tones. These inks produce a complete even coverage on various surfaces including linoleum, wood and flexible printing plates like softoleum. Speedball professional quality inks are ideal for commercial, school or personal use. Available in 37ml or 1lb.